The voice is that of our novice master at St. Andrew on Hudson in 1956, not referring to any particular politician, but rather to the president of a Jesuit University who, as a result of some internal upheaval, had resigned. Father Master regretted this and by implication suggested the fall was due more to the petty mood of the faculty than to the weakness of the Jesuit leader. The words rushed back when I greeted the cover cartoon of The Nation (Feb 2) where Humpty Dumpty, a huge egg with the face of a howling New Jersey Governor Chris Christie, is hurtling through space with the wobbly George Washington Bridge in the background. The governor, having sat on the wall of unquestioned power, was suffering what many have called his inevitable great fall. To read the Newark Star Ledger, New York Times and the Asbury Park Post, plus the Washington Post, New Yorker and other national press, is to conclude that it’s no surprise that this man could seek to punish a rival by using his power as governor to clog the bridge for days and disrupt the economy of a town whose Democratic mayor refused to endorse him. When Christie was elected I was a New Jersey citizen, teaching at St. Peter’s College and writing an occasional blog for the Star Ledger. Whatever his or her party, when a Roman Catholic is elected to high office I have hopes that he or she will be up to date on Catholic social teaching, that all of us, including the state, have a special obligation to improve the lot of the weak and the poor. But Christie, a graduate of Seton Hall Law School, quickly moved to cut taxes for New Jersey’s richest citizens, cut $173 million from higher education, and freeze pay for public school teachers. In April 2010 the websites exploded with nasty name calling. Christie’s people called the teachers’ union a “bully,” and a teacher replied that Christie was the bully who wants to “kill us spiritually by disrespecting teachers and spreading the myth that we are overpaid” (Huffington Post 4/19/10). The following year, against the objections of some faculty, Christie spoke at his Law School alma Mater, Seton Hall, graduation and was booed. He had also been booed at two universities the year before. Christie “bullying” stories are coming out of the woodwork. When a storm flooded Hoboken last May, the mayor, Dawn Zimmer, called upon Christie for help. The response was a visit from the lieutenant governor who told her she had better back another project, a downtown billion dollar office complex, if she wanted flood protection. Christie’s office denies the charge. A Washington Post investigation describes Christie, who had been the U.S. Attorney for New Jersey, as a man with a “history of pushing limits.” As a federal prosecutor, rather than charge Bristol-Myers Squibb with securities fraud he made them fund a business ethics professorship at Seton Hall Law School with a $5 million gift. Washington superiors worried that this looked like using his authority to fund a pet cause and enacted new rules to prevent it happening again. The key moment in the Bridge Affair is the August email from Bridget Anne Kelly, Christie’s deputy chief of staff, to David Wildstein, Christie ally at the Port Authority, saying “Time for some traffic problems in Fort Lee,” and Wildstein’s reply, “Got it.” Indeed they got it, and closed the lanes over four days in September. When they got caught, Christie fired them both and both have pleaded Fifth Amendment rights. With millions of others I watched Christie’s press conference and his repeated profession that “I had no knowledge of this—of the planning, the execution or anything about it— and that I first found out about it after it was over. And even then, what I was told was that it was a traffic study.” Documents are pouring in for Paul J. Fishman, the United States Attorney for New Jersey, and the state’s joint legislative committee leading the investigations. Wildstein, once a Christie longtime confidant who Christie now says he never knew well in high school, now claims that Christie was aware of the closures while they were in place. When the story first broke the question was whether this would interfere with Christie’s ambitions for the Republican presidential nomination. He is acting as if he will come out clean and is traveling to major cities meeting with the wealthiest donors. At the Economic Club in Chicago on February 11, he tried to impress both the Chamber of Commerce Republicans and the Tea Party and scored points by ridiculing those who are concerned about “inequality.” Equality is mediocrity, he said, “Everyone can have an equal, mediocre salary.” He apparently has no concept that the growing chasm between the poor, minimum-wage-workers and the middle class and the super-wealthy not only undermines democracy but contradicts the basic principles of Catholic social teaching. Up the street from where Christie spoke, Ted Strickland, the Democratic governor of Ohio, said that Christie either knew about the lanes closing and is lying or he did not know and is incompetent. When I watched Christie’s self defense on TV my mind flashed back to President Nixon at Watergate. “I’m not a bully,” said Christie. “I’m not a crook,” said Nixon. “Mistakes were made,” said Christie. So said Nixon. 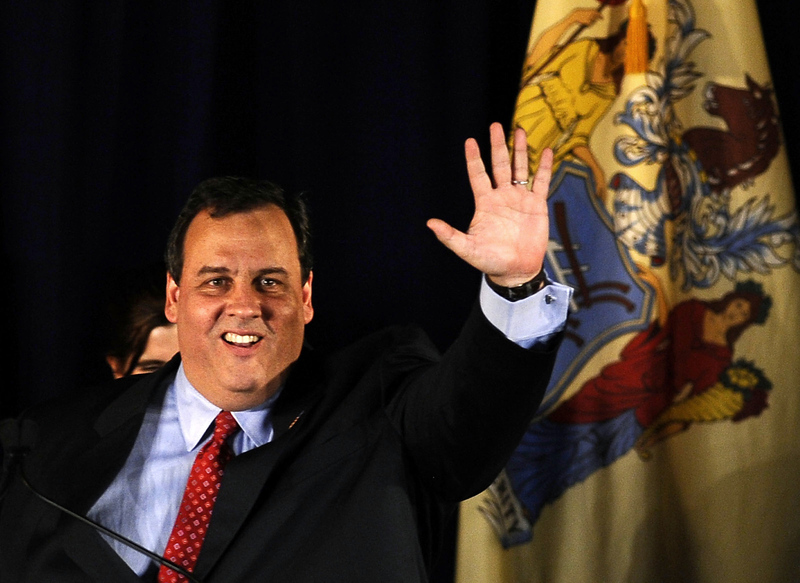 There’s a strong chance that Christie will either resign or be impeached. There is a theory that Nixon was undermined by certain wealthier insiders in the Republican party who later came into power. Not saying that he didn't contribute to his own downfall, but it's possible that there are forces like this at work.